AdSpruce are heading to New Delhi for ad:tech! AdSpruce are always a firm fixture at the ad:tech events and this year is no exception. Our CEO and colleagues will be travelling to the capital city of India, New Delhi, to exhibit at the ad:tech event taking place on Thursday 19th and Friday 20th of this month! Ad:tech hosts many events around the globe each year with the focus being on advertising, marketing and digital technology. 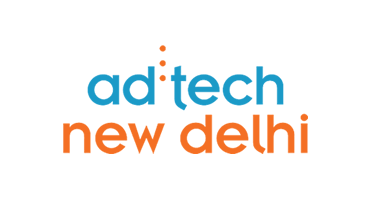 Ad:tech New Delhi is the number 1 Digital Marketing and Advertising conference in India and is one not to miss! This is the fifth year that ad:tech has taken place in New Delhi and the event will be held at the Leela Ambience Hotel. It is a perfect opportunity to get new insights into this industry with advertising and marketing professionals gracing the stands of many established and start-up companies. Our team from AdSpruce will be at Stand 17 in the Pearl Ball Room ready to greet you and answer any queries you may have. With us being experts in mobile video advertising we will be on hand to tell you all you need to know about the mobile video advertising market. Whether you are a publisher or advertiser, we want to speak to you to work out how our mobile video advertising solutions can benefit you. We hope that with many updates to our video advertising solutions over the past year we can improve brand building and the performance of your campaigns whilst helping publishers monetise their mobile website across all devices easily. So come visit us, we won’t bite! You may be lucky enough to enjoy a local Welsh tipple that we hope to bring along with us. You certainly don’t want to miss out! If you want to arrange a meeting with a member of our team then send an email to sales@adspruce.com and we will get back to you right away! Click HERE for more information about AdSpruce.